Science exhibition was held on 24/09/2018 at Narayana e-Techno School, Borivali, Mumbai Branch to encourage, popularize and inculcate scientific temper. 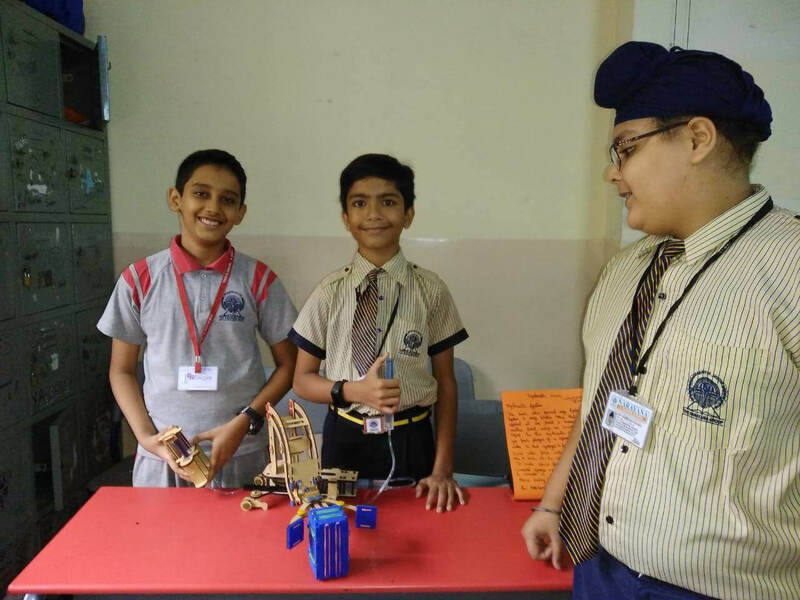 The students of class VI & VII participated in the exhibition with great scientific temperament and exhibited their knowledge about science and its innovations. The exhibits of Biology, Chemistry, and Physics were displayed. The students enthusiastically explained their experiments. Working models like Extraction of DNA, Hydraulic lift and Drip Irrigation were prepared by the students. Scientific games were also displayed. This exhibition not only honed the communication skills of students but also polished their skills in technology and was a step forward towards their all-round development. It was indeed a pleasure to see the working models prepared by the students themselves. Overall the students enjoyed this event.